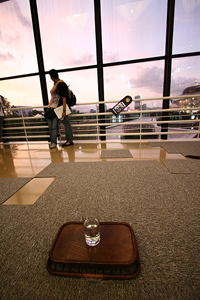 A sound art installation using ultra-sonic speakers and contact mic, with phonography sound art works, mixed media. In Midair gathers the works of sound artists, composers, sound designers and sound engineers to explore the meanings of listening. It is provocative, challenging, and thick as a new experience in a city densely populated with sounds.